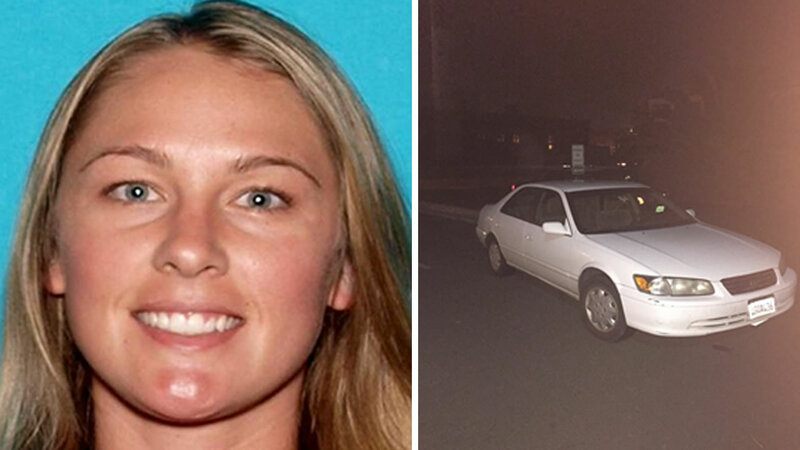 VALLEJO, Calif. (KGO) -- Vallejo police are asking for the public's help in locating 30-year-old Denise Huskins who was reportedly kidnapped for ransom. A 30-year-old male reported the incident to Vallejo police around 1:55 p.m. and said the abduction occurred on the 500 block of Kirkland Avenue in Vallejo. He said Huskins was forcibly taken against her will sometime early Monday morning. Police say they found her car, a white 2000 Toyota Camry with a California license plate of 4GQA436, which they believe was taken from the block where she was abducted. Police will not disclose where the car was found. ABC7 News spoke to a neighbor who said there have been previous reports of a peeping Tom in the neighborhood crawling on people's roofs and walking around with a ladder. However, the neighbor added, that activity seemed to have stopped around the time the peeping Tom supposedly moved away. The neighbor also said the area is pretty safe and there hasn't been any other crime reported in the area. According to her Facebook page, Huskins works as a physical therapist at a Kaiser Hospital. For this investigation the Vallejo Police Department requested help from the FBI and the Solano County Office of Emergency Services search teams. The Vallejo Police Department says they have no suspects at this time. Tune into ABC7 Morning News starting at 4:30 a.m. for live updates on this story. If you're on the go, you can watch live from 4:30 a.m. - 7 a.m. here online or on your mobile device. ABC7 News reporter Alan Wang contributed to this report.